HomeWhat is a De Novo Review in Wisconsin? In Wisconsin, many people may find that their family law matters, or restraining orders, will be heard in front of a court commissioner. This is because the courts are able to delegate this authority in order to more efficiently use the judge’s court calendar. However, if a party believes that a court commissioner gets the decision on their issue or issues incorrect, that party has recourse. Pursuant to Wisconsin State statutes, any decision of a court commissioner shall be reviewed by the assigned judge, upon a motion of any party. Essentially this is an appeal of that decision and it is called a “de novo review”, which means the judge will review the issues in a new hearing as though there was never a hearing and ruling by the court commissioner. This motion for a hearing de novo must be made in writing. The judge are supposed to allow both parties to testify again, review all of the evidence, hear witnesses, and then the judge will make a determination on the issues pertaining to the original filing that brought the parties in to court the first time. However, it is important to note that many judges handle these types of motions much more informally and try to avoid a full second hearing, except for restraining orders, although they are required to do so by law. There are certain time limits for filing a motion requesting a de novo review, and these limits are set by each county in their local court rules. In general, if your issues are a part of a family court matter (regarding custody, placement, child support, maintenance, contempt, or post judgment issues), the party seeking a de novo review shall usually have about 10 -15 business days, depending on the county in which your case is being heard, from the date the court commissioner signs the order and gives it to the parties at the hearing. If the court commissioner does not give each party and attorney present a written copy of that order, then the party seeking a de novo review may have a different time period from the date of mailing the order. If you believe that the court commissioner’s order is unfair, it is extremely important to ask at the time of the hearing what the time period for a request for a de novo review is in that county and to file that request as soon as possible following the hearing. If a party is seeking a de novo review of an order involving the granting or dismissal of an injunction (restraining order), there may be a different deadline. For example, in Milwaukee County, the party seeking the de novo review from a family court commissioner case in a divorce or paternity shall have fifteen (15) days from the date of a hearing, providing they receive a copy of the order immediately, but shall have thirty (30) days after the court commissioner issued the order or ruling in a restraining order. It should be noted that the thirty day deadline includes weekends and holidays but a deadline less than thirty (30) days does not. These slight variations in deadlines make it important to check with your county’s local court rules to ensure that you do not lose your right to request a de novo review. 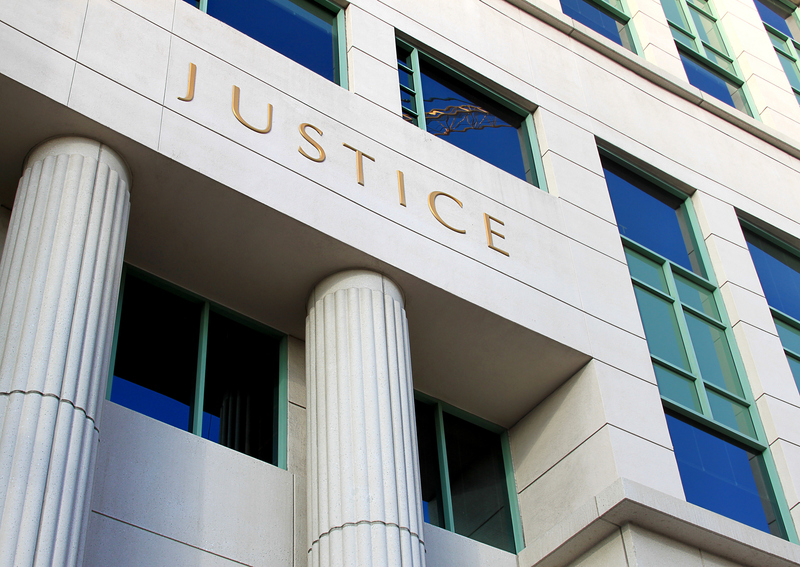 It may be the most practical to file for a de novo review hearing immediately after your hearing if you believe that the court commissioner made the wrong decision in your matter. If you believe that you need a de novo hearing, or that a party has filed for a de novo hearing in your matter, call us at (414) 258-1644 to schedule a free initial consultation to discuss your case. ← Can My Spouse and I Use a Mediator Instead of Lawyers In Our Divorce? My ex gf filed for a TRO and injunction hearing. She didnt show up and commisioner dissmissed the case. She filed again. A different commisioner heard the case. I appeared by phone and wasnt given an opportunity to explain my side of the story. Injunction was ordered against me for 4 years with S.O.F. I FILED A MOTION FOR DE NOVO HEARING. The hearing was held before a circuit court judge this time. I went to the hearing. I was 15 minutes late. The judge waited 4 minutes and then dissmissed (denied) the motion De Novo and the injunction and SOF are still enforced against me. Can I appeal again ? I will win my case if I can just simply get a hearing anf be able to present my evidence. I have solid physical evidence, wittnesses too. I hope I’ll get another chance. She had zero proof of anything, lied on her statements (i have proof), missed the first hearing and was given a second chance. Do I get another chance ? Unfortunately, because you were late, the court has the discretion to dismiss your motion. Some judges will wait longer than 4 minutes but some won’t. You could file a motion for reconsideration before the judge but if the judge is strict enough to dismiss after 4 minutes, you may not have any luck. Or, you could appeal it to the court of appeals. I would strongly advise you to consult with an attorney who is experienced in this area to determine what your options are. I recently partook in a hearing concerning a removal request of children. The GAL assigned stated that they never looked at the case as removal because I didn’t file the letter of intent to remove even though at the initial hearing the commissioner explained it’s a removal case and the GAL paperwork states its’ a removal case. I raised this in court and even offered to file the letter of intent but was informed on the spot by the GAL that they wouldn’t change the findings. I feel the GAL solely focused on the letter not being filed and did not take into consideration any other factors. Would a de novo be warranted? Filing a de novo is usually a good idea in this situation. However, be careful. There are strict time limits that you must adhere to. Check with your county – it is usually somewhere between 10 and 15 days after the order is issued or after the hearing. With regards to the issue of the remove itself, I would strongly suggest you consult with an experienced family law attorney. Also, the law recent changed in Wisconsin regarding removals (see our latest blog post here). Under the new law, the requirements have changed but it is unclear from your facts whether your case falls under the new statute or not. I recently got granted a injunction on a woman who was stalking me she filed a de novo but she still is stalking me and I have proof.. will they grant her an appeal? A denovo hearing is essentially an appeal to the circuit court judge. Everyone is entitled to one so, yes, there will be another hearing. The judge will hear all of the facts and evidence all over again, as if the first hearing before the court commissioner had never occurred. Then he or she will make a decision as to whether the injunction should be granted (again). In the meantime, the current injunction is still in effect and can be enforced. Therefore, if she has violated it, you should contact the police and report the violation.